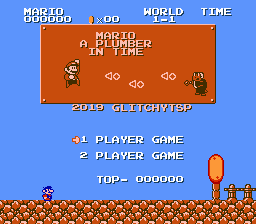 This is a full length hack that is also TECHNICALLY a prequel to an already existing hack: Mario a plumber in time. Luigi sidestory. 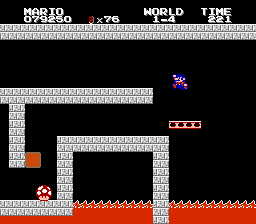 In this hack, you get to play as Mario, with some whole new levels. 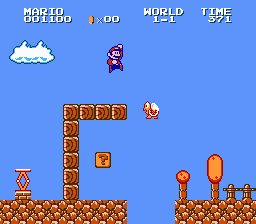 Mario functions nearly identical to how he did in the old SMB, and Player 2 gets to use Mario’s classic colors. 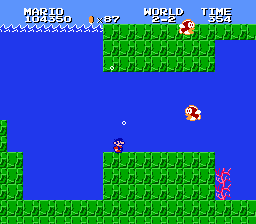 Thankfully this hack isn’t as difficult as the Luigi one before it, so it should a lot less rage inducing. Story:Mario and Luigi were helping Professor E. Gad move his ghost lab to a new location, however, while they are doing so, they accidentally activate E. Gads new and improved time machine and the bros are sent back far in time, to a time where Kameks father -The elder Koopa wizard- ruled the mushroom kingdom. 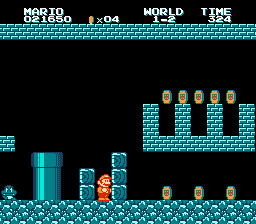 once they arrive, they are immediately noticed by a few castle guards, not knowing what it is, they take the time machine back to the main castle for investigation, in fear of being trapped in the past forever, Mario makes chase on his own, leaving Luigi behind.